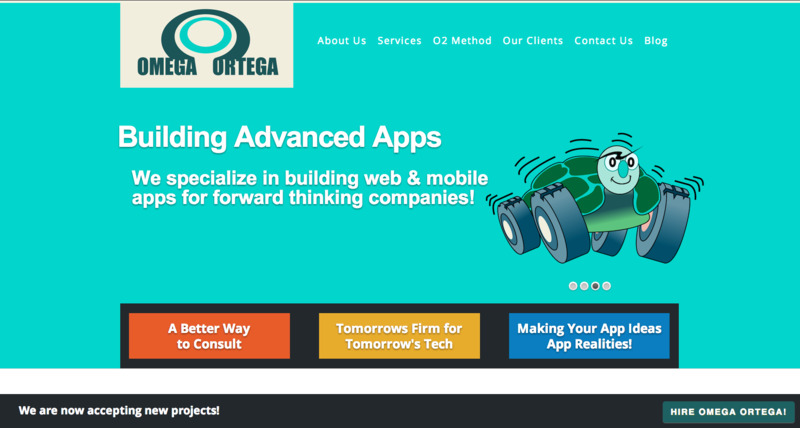 This project for Omega Ortega, a web app and mobile app development company, was my first HTML5 WordPress theme project. Thanks to version 2.0 of the Genesis Framework, I was able to quickly learn how to develop an HTML5 theme. The company has two factors that make them unique, 1. their ability to develop great apps quickly, and 2. their method of consulting. I decided that the method was their most important differentiation so the design and layout of the site was specifically created to highlight their method. 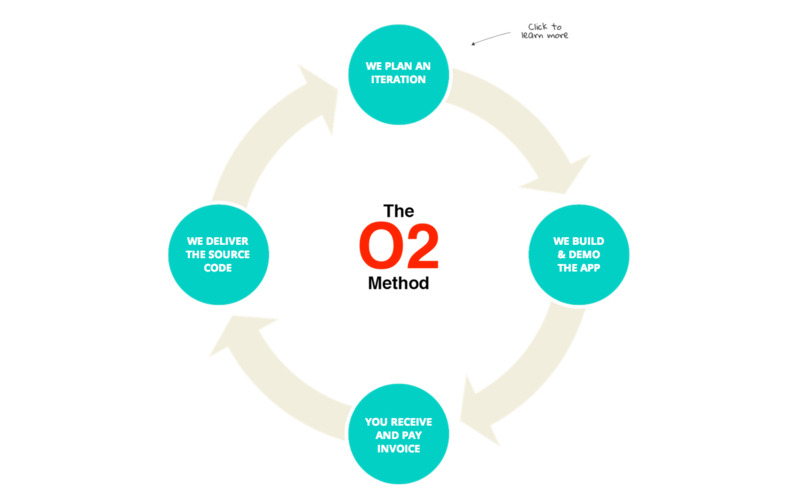 The primary focus of the site, which is the “above the fold” content on the homepage (slider and 3 buttons) focuses on the “O2 Method”, which is the company’s method for providing their services to their clients. The text used in each slide and for each button and the imagery was crafted to help identify with a specific type of client, with a goal of producing better qualified leads. The secondary focus, the three sections “below the fold” on the homepage, highlights the company’s service areas. Again, the content and imagery used in those sections was crafted to target a specific client within each of the core service areas. You’ll notice that most pages have a very clear call to action to the right of the page title, as seen below. Having a clear call to action on every page helps us control the action our visitors make. Giving them instructions on what they should do next. TIP: The calls to action should always make sense and feel like a natural next step. Another aspect of this site that was important to the accomplishing the goal of generating better qualified leads was the way I decided to showcase the companies Clients. Instead of just listing the clients logo, or name and avoiding a typical portfolio, I decided to go with a combination of portfolio and case study. As shown below. With this design we’re able to present content that has a visual appeal, without overwhelming the visitor with information overload. This “portfolio” design was inspired by and borrowed from @Wes Straham, developer of the Genesis Child Theme, Epik. 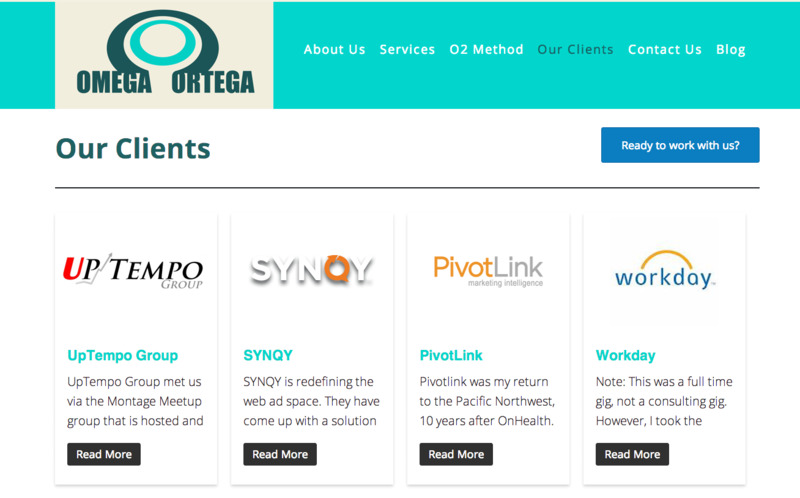 Because the company’s differentiation is their method, called the O2 Method, we wanted to add a visual display of the method that help prospects understand the process and that offered bit sized information with an easy option to view more information. The image below shows the visual display. When clicking on the text within the circles, the page than scrolls to another section of the page that more thoroughly explains that step in the methodology. Lastly, the website is responsive. Which means it “magically” adjust based on the screen size of the device being used to view the site. This way, no matter what you’re using to view the site, you have a positive experience. TIP: The best way to see the responsiveness is to open the site in your web browser and just the browser size by clicking and dragging the window right to left. Now I monitor the analytics and try to determine which aspects of the design are working and which need to be improved upon. I open to any feedback and/or questions. Just use the comments below! They deliver good HTML5 designs, but they’re NOT WordPress or Genesis themes, so I wouldn’t promote the site to my audience.